ISLAMABAD: Senate Standing Committee on Interior Monday strongly condemned terrorist attack on Chinese consulate in Karachi and demanded enhanced security of Chinese citizens across the country. 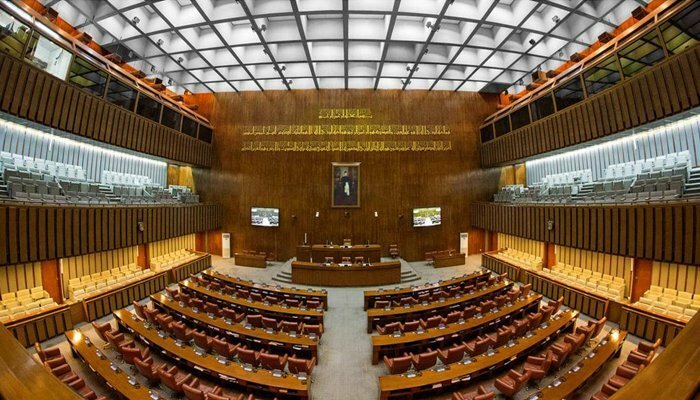 “We the members express our deep grief and sorrow over the loss of precious lives of two policemen and two civilians in the attack and extend condolences and sympathies with victim families,” a resolution passed unanimously said. Senator Rehman Malik, who was chairing the meeting, presented three resolutions which were unanimously approved. The meeting was attended by Senators Javed Abbasi, Rana Maqbool Ahmed, Ateeq Shaikh, Haji Momin Khan Afridi, Chaudhry Tanvir Khan, Sardar Muhammad Shafiq Tareen, Senator Siraj ul Haq, Chairman Capital Development Authority (CDA) and representatives of Ministries of Interior, Law and Justice and CDA. Rehman Malik said the Committee saluted the martyred policemen ASI Ashraf Dawood and constable Amir Khan who sacrificed their lives and blocked entry of terrorists to Chinese consulate. The Members highly appreciated courage and timely response of Sindh police and Rangers and also applaud great professionalism and bravery demonstrated by ASP Suhai Aziz Talpur who led the operation. The chairman resolves that such act of terrorism was against both Pakistan and China to harm CPEC. The meeting also condemned deadly terrorist blast in Kalaya Bazaar of lower Orakzai district of Khyber Pakhtunkhwa (KP) on November 23 in which 33 innocent people were martyred and more than 50 injured. The Members expressed over deep sorrow over loss of precious lives and heartfelt condolences. The Committee asked the government to take fierce actions against the terrorists. The Committee also condemned Indian continuous interference in Balochistan and urged India to stop its covert anti-Pakistan operations in Balochistan. The meeting unanimously passed Prohibition of Interest on Private Loans Bill, 2017 and appreciated Senator Siraj-ul-Haq for presenting the Bill. Rehman Malik asked Ministry of Law and Justice and Islamic Ideological Council to ensure further improvement in the Bill in consultation with Senator Siraj ul Haq. Capital Development Authority briefed the Committee on on-going operation against encroachment. Rehman Malik said the Committee has been receiving public complaints against the operations. Senator Ch Tanvir Khan appreciated the anti-encroachment drive by CDA but asked the authorities to take action under law.